Eva M. Doyle is a retired Buffalo Public School teacher with 30 years classroom teaching experience. She presently lectures extensively on topics in African and African American history. Her specialty is the little known facts of Black History. She is a columnist for the oldest Black newspaper in Western New York – The Criterion, published by the Merriweather Family. Her column Eye On History is now in its 36th year of publication. Eye On History is the only weekly, consistent column on African American History in Western New York. The column has also appeared in the Buffalo Challenger, the Chicago Defender, the African American Chronicle, The Rochester Communicade, the Palm Beach Gazette in Florida, the Geneva Times, Class Magazine and the Buffalo News. Mrs. Doyle is also the author of 11 books. She is the Host of her own radio show called Eye On History. 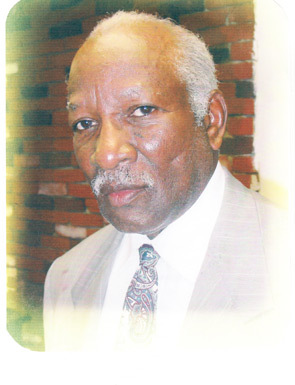 The Romeo Doyle Muhammad Scholarship was created in 2009. Mrs. Doyle named this scholarship in honor of her Late husband who was a Korean War Veteran and a strong advocate for education. Each year scholarships are given to students of color who have completed high school and will attend a two or four year college or university. Students must demonstrate academic achievement. submit references, and write an essay describing their future career goals. The Scholarship is always presented during the month of July, the birth month of Romeo Doyle Muhammad.